One of the first signs of aging is a tired appearance of the eyes, which occurs when our upper and lower eyelids become saggy and droopy. Baggy eyes can eitherbe a hereditary condition or a result of aging. An eyelid lift (or blepharoplasty) can improve and soften this appearance.Our plastic surgeon in Seattle, Dr. Shahram Salemy, performs eyelid lifts, which can remove bags under the eyes, tighten loose lower eyelid skin, and remove excess skin or fat from the upper eyelids. Dr. Salemy uses more modern techniques to help balance the appearance of your eyelids with the rest of your face, and provide a more natural, refreshed result. A blepharoplasty, or eyelid surgery, is a procedure that improves the overall appearance of your eyelids. A blepharoplasty can be performed on your upper eyelids, lower eyelids, or both. An eyelid lift treatment can improve obstructions to your vision and help your eyes look younger and more alert. A blepharoplasty can be performed at the same time as a facelift, browlift, or other facial cosmetic procedures. 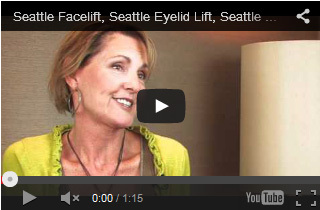 What does an eyelid lift treat? An eyelid lift treatment does not treat dark circles or wrinkles under the eyes. 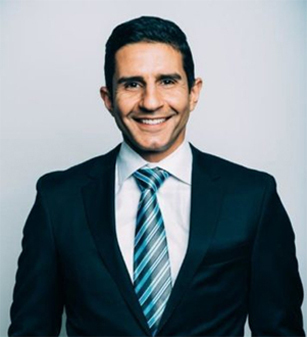 When patients meet with Dr. Salemy, they discuss their aesthetic goals and have their facial structure, general health and anatomy evaluated. Dr. Salemy then determines if they are good candidates for a blepharoplasty and how to get the results they want. What is exactly done during the eyelid lift procedure? During eyelid lifts, your plastic surgeon will make small incisions to remove skin and fat from your eyelids. Dr. Salemy will usually make an incision along the fold of the eyelid and then proceeding to remove extra fat and skin. The incision is then closed with a thin stitch. If you are getting a lower eyelid lift, the surgeon will either make an incision along the natural crease below your eyelashes, or on the inside of the lower eyelid in order to hide the scar. The excess fat and skin is removed before the incision is closed. What is recovery like for a blepharoplasty? Typically after the procedure patients stay in a recovery room for monitoring and initial recovery before being released to go home. After the surgery, you may experience blurred vision, watery eyes, light sensitivity, and swelling. You will be asked to return to our Seattle plastic surgery office the day after surgery and then 5 to 7 days after the surgery so that Dr. Salemy can safely remove your sutures. To recover quickly, Dr. Salemy may recommend that you place ice packs on your eyes during the first weeks of healing. Additionally, he may prescribe eyedrops and ointments for recovery. Keeping your head elevated and using cold compresses can also relieve discomfort. Though eyelid lifts are relatively minor procedures, you should still avoid swimming, lifting, and any strenuous physical activity for a week. It usually takes a few weeks to recover from a blepharoplasty. Contact us today to schedule a Eyelid Lift consultation!